This week we review Uncanny X-Men, All New X-Men, and touch briefly on Secret Wars. We then catch you up to date with all the important things going on in the world of comics in KAPOW! News. And in Retros we look at Uncanny 285, X-Force 7, X-Men 5 and X-Factor 75. Also make sure to leave us reviews on iTunes!!! This week we take a look at BLACK VORTEX, finish Peter David's X-Factor run with 19 and 20, and more. We then try and make sense of the upcoming Secret Wars in KAPOW! News. 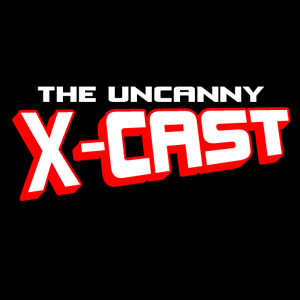 And in Retros we pour through X-Men 4, X-Men 2 (whooops! ), X-Factor 74, Uncanny 284 and X-Force 6. This week we review Amazing X-Men 15, Uncanny 28 and 29, All New X-Men 34 and 35, Shazam TPB and Multiversity- Shazam #1 and the Uncanny and X-Men Annuals. We then present a more incorrect than usual KAPOW! News, and finish with Retro Reviews of Uncanny 283, X-Factor 73 and X-Force 4.